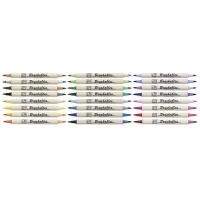 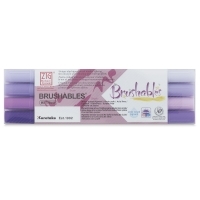 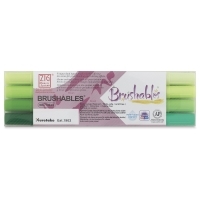 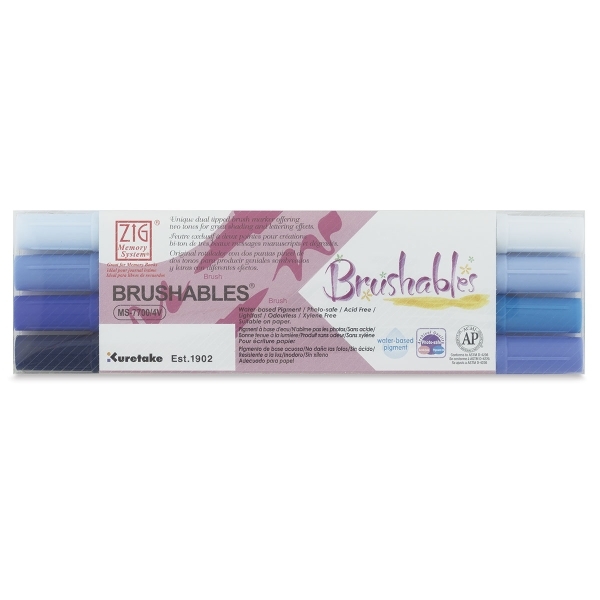 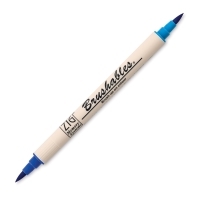 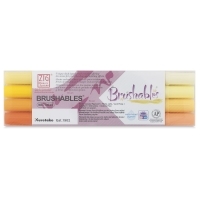 Designed to be used on paper, Zig Brushables Dual Tip Markers are perfect for adding colorful accents to cards, coloring books, and scrapbooks. 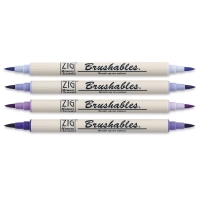 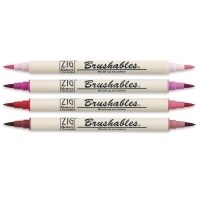 Two brush tips offer two tones per marker, one color from the Zig Memory System range and the other a 50% tint of that color. 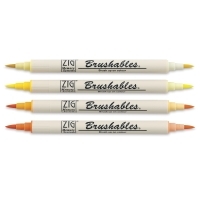 The acid-free, waterbased pigment ink is permanent, lightfast, and photo-safe. 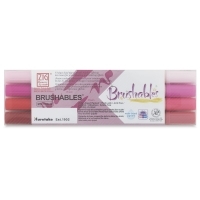 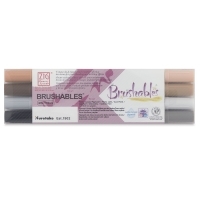 These unique markers are great for brush layering techniques, two-tone blending effects, rubber stamping, and brush lettering. 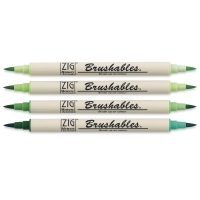 They also are compatible with other Zig Memory System markers.